Let me preface this by saying, cats are perfectly lovable creatures. I want nothing but the best for them. I know that you love your cat. Or cats. I am sure that you are snuggling one right now, as you read this post. Maybe the problem is that I have never had a cat. I haven’t given them a real chance. You can’t be mad at me though. There are tons of articles written about dog people vs. cat people. Then there are those people who love both. Which is confusing. Apparently you don’t actually have to draw a line in the sand and pick a side. To me though, cats seem very self-centered. Aloof even. Almost shady. If I were on the floor, dying a slow death, I feel sure that a cat would nonchalantly turn it’s back and walk away. Choosing to ponder whether I had left him food, instead of my impending demise. Why do cats get a pass for modeling behaviors that we don’t find appealing in other humans? I guess I will never understand. Maybe that is why I find it incredibly unnerving that I am being stalked by a neighborhood cat. That’s right. Stalked. Neighborhood cat. 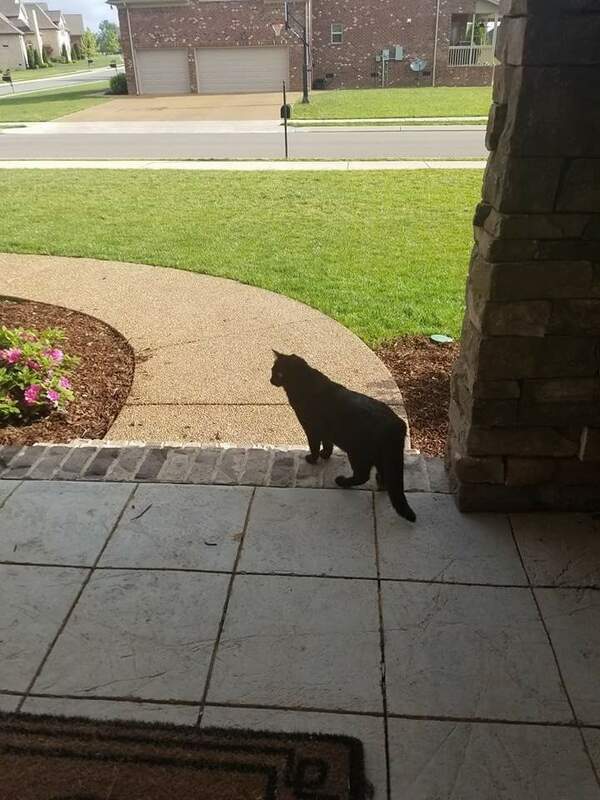 I have noticed the cat roaming the neighborhood. I have heard that cats are roamers. That is perfectly acceptable. I mean, if you want a pet who likes to disappear on you for days, that is your business. I am not here trying to tell a cat how it should live its life. One early morning last week though, I was assisting my daughter as she got ready for her upcoming day of middle school. There was some recycling sitting on the kitchen counter, from the day before. I thought I would open the back door and toss it in the bin. Like I had done many times before. Except this time, when I opened the door, something lunged at me. Sure maybe lunged is a little strong. But in that moment it was fight or flight. I had to protect my family from a savage. My arms were full, so I blocked the creature’s attempts to gain entrance into my home, with my foot, and quickly closed the door. My pulse was racing and my daughter was quick to point out that I had let out a scream during the ordeal. Yeah, because that is what warriors do when they are in fighter stance. Duh. What was that? A rabid raccoon maybe? A fox? I pulled apart the blinds and that is when I saw him. The neighborhood cat was still sitting on the steps. Staring at me. With those soulless eyes that all cats have. He was probably snickering. If cats snicker. Clearly the cat was just confused. His home was right down the street. I was sure he would be on his way there soon, especially after I had probably scared him half to death, with my stealthy ninja moves. And girly scream. I went back to my regularly scheduled day. After dropping the kids at school, I made my way back home. I pulled up in the garage just as I always did. I walked around the back of the vehicle and looked out at the beautiful, spring day. And then I saw him again. The neighborhood stalker cat. Now maybe it is just me, but I have never noticed cats to be huge runners. They seem to be more slinkers. They slink from point A to point B. Gliding along as they go. So when I realized that this cat, the very same cat that had borderline assaulted me earlier, was running down the street, in the general direction of my home, I was sure that he was coming for round two. I became nervous. I stood there a minute until it became clear that he had his sights set on me. He was coming fast. I thought about standing there, just to see what he wanted from my life. But my legs had already started moving in the general direction of my garage door closer. So I just went with that. I reached for the button and held my breath. 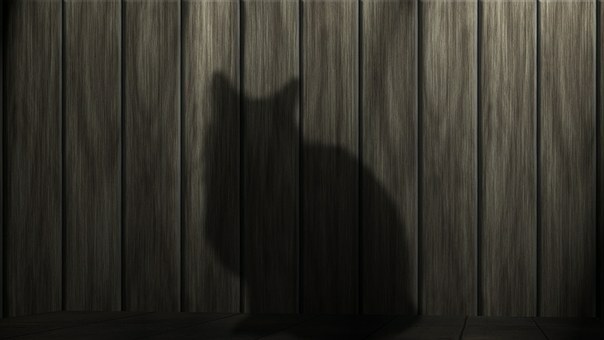 After what seemed like eternity, the door finally closed, leaving the Black Cat of Terror, on the other side. I imagined he was fuming now. What was happening to me? How was I being intimidated by a family pet? Clearly he was targeting me. I told myself that I was being ridiculous. The cat had gotten into my head. But I had the power. I was in charge. Well that and it was outside and I was inside. And cats don’t have hands to open doors. I was being silly. I laughed at myself because I have no problem with admitting when I am being dramatic. It was a pet. The cat was not specifically seeking me out. Probably just looking for a little human contact. Between me and the mailbox was THE CAT. As though he was reading my mind. He had waited on me. All day. For the very moment when he knew that I would be coming out of the front door. Like a stalker. Well, I wasn’t about to go out of that door. So who was in fact smarter, CAT? I win. I will say this, cats may not make me feel warm and fuzzy. But cats couldn’t care less what I think. So props to the cats of the world. Doing life their way and getting by with it. Is it because they purr? That’s it isn’t it? You truly are my soul sister. Cats creep me out. I’m convinced they’re just watching, waiting for me to turn my back so that they can attack. I never turn my back on a cat. Girl, we must meet and hand out!!! haha!